Mojang became widely popular after the smashing hit that was – and still is – Minecraft. However, after it launched various other iteration of the game, Mojang went relatively quiet. However, after Mojang was purchased by Microsoft, the company started cooking a new game in the oven, and just today, the official Mojang website has announced Crown and Council, a new free Mojang game. A single member of Mojang created the game: Henrik Pettersson, also known as “carnalizer” by some, or as the “multi-talented Mojangsta” by others. Trust Crown and Council to be that fast-paced strategy game that you were looking for. Players have to take control of a kingdom and also start spreading and conquering the lands around them. Obliterating other monarchs that are also on a conquering spree necessitates various strategies. You can send your men to invade rival lands, build defensive forts, or engage in naval attacks. 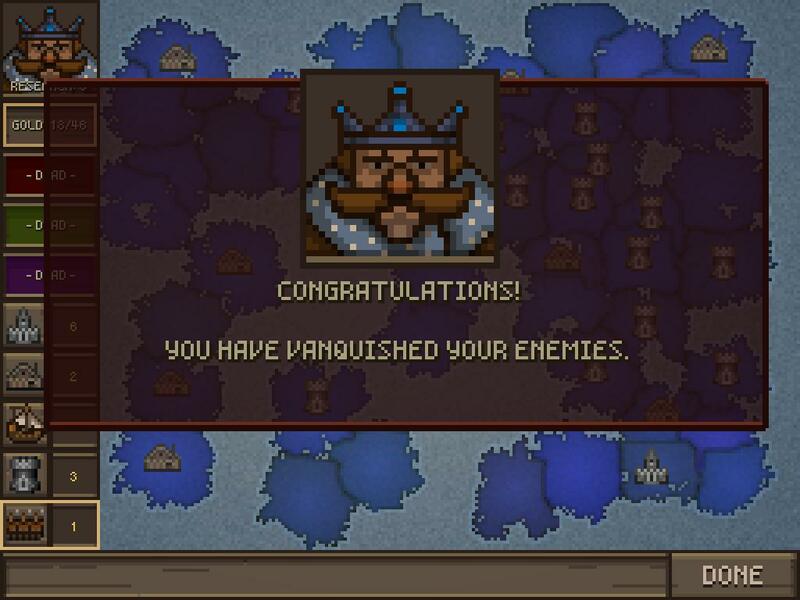 The game also includes some novelty features, such as the “fabulously mustachioed pixel-art tyrants,” along with “procedurally generated land” and – why not – insults that your monarch can use for his enemies. Even though it’s exclusive to Microsoft Windows computers, Crown and Council can be downloaded from Steam for free. All the Mac and Linux, it seems like you’re going to sit this one out. It’s unclear whether Microsoft will keep the game free on Steam or if Crown and Council will make the jump to mobile, like Minecraft. Either way, the company is crossing its fingers you’ll enjoy the work of Pettersson, and you don’t let it go to waste. So what are you waiting for? Log on to Steam – or create a new account – and start playing! At least, you won’t have wasted any money if you don’t like it.